We are writing the year 2083, NEVS has been bankrupt for a long time. Nearly 10 years after existence, one had to bow to the fast-moving automobile market. Too old the design, too great the pressure of the shareholders, which also Tesla got to feel and could no longer do justice to a highly endowed share. Final resting place for a Saab 900? The German car industry has claimed its place and so now E-Golfs and Porsches are rolling through the country, depending on charging cables and stations. Somewhere in the republic, an electrically driven car silently buzzes through a small village. 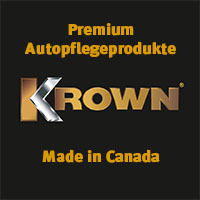 The car, a German premium product, comes to a halt just before the town sign, in the back seat is the head of a little boy who looks out of the window in amazement. He has never seen what he sees at this moment. He only knows silent, UFO-looking cars that need to be rewired every night to be up and running again the next day. Nitro? At the very most they are still discussed in history lessons. What does he ask his father, who looks as surprised as he is interested. 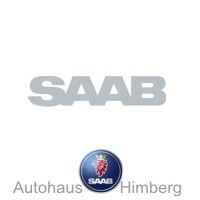 That, my son, is SAABs. SAAB, the little boy shapes his lips and admires the place with a banned look. A place left decades ago, where nature recovers what it was once taken from. 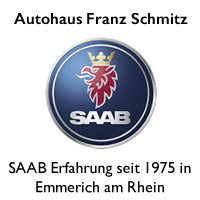 And where there are many SAABs who bear the brand's last legacy and who have been through their last journey for a long time. Back to the present, of course, the beginning of this story is only fictional, and whether the writing will ever occur, and could represent the end of the mark? Unlikely, every reader may decide for himself what seems right or wrong. 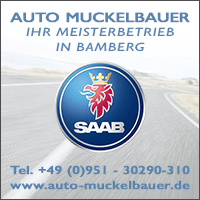 The place described with the umpteenth SAABs, however, there is actually. 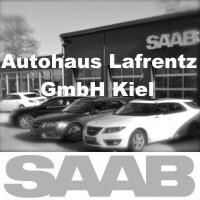 The place has long maintained the SAAB flag in the country, was more than 20 years to 1994 contractor and workshop at SAAB Germany, but was kicked out of the sales network after the acquisition of GM. 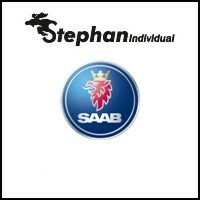 However, the much cited SAAB spirit hovers over the terrain, where countless models have accumulated over time. The incredible number of 31 SAABs has come together here over the years, and if someone had to show off the product range of SAAB-Scania AB to someone strangers, at this place one would at least find almost all car models produced. From the toxic green 96 to the 9000 Aero, more or less each car is represented at least once. The former is probably already in the same place for almost 30 years, at least lets the TÜV sticker of 1989 close to it, and thus represents the origin of the strange collection dar. He was eventually turned off here and never picked up again. A sad fact that has been a reality for 30 years. Just like him, it's also the countless turbos, mostly 900er, of course. But more on that later. The black Aero, however, has suffered "only" an engine damage. With little oil, it goes well, bad, and even worse if you want to get out of the 2,3 liter turbo with zero liters in the block on the highway. Consequently, an engine failure paralyzed the Swedish S-Class. The owner, however, hangs on his Aero and so the 9000 is repaired again, and will in all likelihood shortly before a TÜV examiner be presented. What should make both cars clear? In this place there are such vehicles, for which any rescue comes too late, which either only the last rest or the press of a recycler remains, but also vehicles, which are to be rescued by. For almost two years, an 9000 is waiting for its rescue. In the trim CD and with Turbo, which is restrained by an 4-speed automatic transmission, he has just completed 171.000 KM. Its anthracite varnish has suffered a bit under the sun and the last hot summer, but its blue interior looks like untouched, the wood décor as delivered and the great SAAB sound system from yesteryear just waiting to be lined with new CD's , Chariots like these deserve to find a new owner, for them a slaughter comes way too soon, the way to the press anyway. Is it after all (Swedish) historic automobile goods. There are many 9000ers to be rescued here. Another CD, several CS and CSE with and without turbo, with manual or automatic transmission. All come with wood decor and therefore mostly leather steering wheel and large sound system. The cars that stand here embody exactly what had been possible at the time, and give the impression that they were once carefully assembled there. And yet you are here now. Just like the four CC models, which even hides one of the first turbo's. If you have left behind the almost countless 9000ner on the site, you are in the area of ​​900 Sedans, GLs and Turbos. Some of them can be clearly recognized by the ravages of time. Rusty doors, hoods or damage due to vandalism. If you want to look at the (rust) diseases of the former cars in the absolute final stage - please, here is a unique opportunity. At them for the first time really clear what is hidden behind this place. The cars look partly like freshly parked, the wheels still taken as if they had been parked here the day before yesterday and would pick up again tomorrow. The reality shows: These cars are at least 10 years here. In front of an 900er, the first spring flowers are growing, while in another, a small tree has found its way between the bumper and the grille. The car, it seems, is in the truest sense of the word firmly rooted in the place. In another car growing a grazing similar crop. In all cars the sky hangs, even 20 years later just typical SAAB. The one or the other car has to the first slaughterings. Sometimes a fender is missing here, at the turbo the coveted ventilation grille at the back, or the car is missing a rim and he is standing on the spare wheel. Others have rare parts, such as a sunroof deflector on an 900 Gls, or a rear spoiler for the 99. And although the cars are almost forgotten, each one tells its own story. Like the red right-hand 99 from Ireland. He too is close to decay, the interior looks typically after SAAB, also here the rust has become master of the time. It was once driven by 500.000 km by its owners in Ireland and the UK. On the back seat is map material from another time, a map of Germany is next to it, the roof rack comes from IKEA and the car would have a Flux compensator you might think he just comes from a long journey from another time therefore. What ultimately left him stranded here is pure speculation. Maybe the engine failed after 500.000 km somewhere on a holiday trip in Germany, and the owner saw no chance to save the car. Whether this really is so, will be difficult to prove. Arriving in the back of the site, we are at the beginning of the story again. There it stands, surrounded by shrubs and hedges, the green 96, slightly sunk into the ground. The origin of the whole, one could almost call Him Guardian of this place. He has seen all coming, some have left, but many have stayed and have kept him company, on his long journey of decline. Mudguards, doors or the window frame. Everywhere the rust testifies to decades of oblivion. through which the rust ages. Is there salvation? Or is it the end? We exchange one last look, and have both positive and negative thoughts in mind. Whether brand fan or not, this place impresses from the very first second. This place, surrounded by complete tranquility, immediately captivates you. These seemingly endless variations of old Swedish cars thrilled at first, a true lover of the brand but he agrees sadly in the second moment. Almost 8 years after the end of the brand, this place is like a stab in the heart. At some point someone went to the dealer because he wanted to have a car as well, dealt with the accessories catalog and picked up his new Saab somewhere. And yet, most of these cars were deliberately or unconsciously left here. They show the long tradition of the brand and, despite their decline, are small ambassadors of the brand. They show what happens when we forget the brand, how it ends when we invest nothing in your receipt. The day is slowly coming to an end, we are literally trudging across the terrain from the 96 back to the SAAB who brought us in, one last look then we get in. Like the two protagonists from the beginning of the story, we also continue to rush at some point, in contrast to the silence of an e-mobile, the 9-3 turbo but once again bubbling quietly but pithy on, then we rush off. The SAAB gets back to speed after hours of waiting, the turbo thanks it and with the typical SAAB sound we disappear behind the last increase, the last bit of turbo bubbling reverberates, then returns to complete silence and the place disappears again in oblivion. 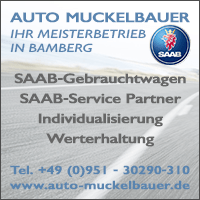 This story was primarily meant to show readers one of the most special SAAB locations in Germany and dedicate them to a place in the community. 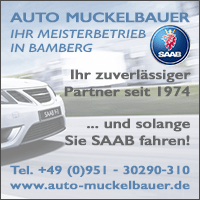 Even we are still a bit at a loss as it could happen, but this place has been contributing for years to the fact that the SAAB spirit was even able to spread in Germany. Any blame to former owners who have left their cars there should therefore be avoided. And yes, the story consisted for the most part of the old vehicles, which are certainly no longer in good condition, which is ultimately due to a bit of dramaturgy. SAAB's, who have only one plate or one broken exhaust, can hardly write. We also want to use this article to give a part of these cars a new home and thus a chance for a second life. Because sooner or later, these cars will leave the place for good. Whether the way into the press or in the hands of a lover, we hope that we have given this text the impetus to save. The mentioned 9000er tend to be all in a state that could certainly be rescued. While the vehicles definitely need a lot of love and some financial investment is needed, but they have the potential to become a lifetime companion. If you are still looking for a 9000 or another SAAB to rebuild, you are welcome to contact us, we would then mediate! In addition to the story and the countless pictures, we have also produced two cinematic contributions to this location. Whoever discovers a car of his desire in the videos, is welcome to contact us! In the first video we go back to the cars and show them, Justus commented on the seen. The other video is a small cinematic compilation and is intended to complete the whole story as a cinematic contribution to the text. In the end, we really thank the owner for the permission to shoot and we hope that one or two cars will find a new owner through our little contribution and eventually feel fresh asphalt under his wheels again. ← It's Sunday. And no Saab reading material? 22 thoughts too "The final resting place ..."
Where should this "Saabfriedhof" be? I am aware of at least two other places where similar, if not more, Saab models are "parked". The place remains secret at the request of the owner, so it was settled for this story! That's why the story starts somewhere in Germany. I also know another place myself. Very emotional! A really sad story. Hopefully a few vehicles can still be arranged. very well written, and of course makes you hungry again Saab save ... .. 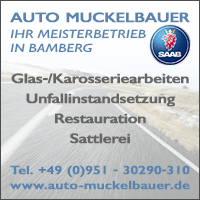 If I understand correctly, are there any SAABs that would have to be disposed of by a buyer of the property in the connection or the seller before a sale for a fee? Instead, you can buy them and the current landlord still hopes for a few euros? We would not have expected such a place, and yet it exists. Unfortunately ! The property is not for sale and the owner does not even hope that you take the car as a load or make the cars with profit. As mentioned, there are also some cars, for which a rescue is definitely too late. The few who are to be saved in any case, we hope so maybe to bring to the man. Like the described 9000. First of all, it's all about saving the cars that are in too good a condition for the press. If you do not take any you will be slaughtered, which would be just as bad! Thank you for the clarification. Also, I find your commitment great and the video yesterday great! Well, I wish a lot of success and keep my fingers crossed for the SAABs, so that rescue knights find themselves without fear (in front of question marks) and without blame. That's right, certain questions were deliberately left unanswered / left open. The cars were once all intended once again to be worked up. In the end, it just turned out to be too many and the whole thing took its course. But I can assure you that there are still some questions left. Why should one give in with the restoration of such a vehicle. The risk and the costs are incalculable even if you get the vehicle for free. I know a 9000er Bj 1990 with 40T km that looks like factory-new. If you want to sell such a car, you wonder how little is offered. It's worth the search for a vehicle in better condition. I see it the same way. We are talking about Saab and not about a VW T1 Samba. Cut out useful parts, then dispose of the rest. 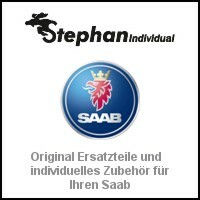 Recently, the entire stock of SAAB Tischendorf was auctioned on ebay. There were several halls full. Nobody really wanted to have them either. The removal alone would have taken several weeks. If you still want to use the vehicles somehow, you would have to organize a kind of "slaughter weekend", or two. You come over, unscrew what you need and pay the owner what the parts are worth. What's left is not in demand and can go away. The price of the hyped Samba buses have been on their way down for months. Or stand like lead. Only so much time. 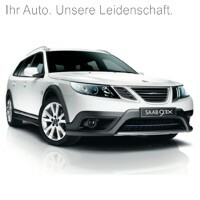 One of the 9000 shown could be for a pair of bills the entry into the Saab world. For someone who loves the brand and who can not / will not invest the big money. Maybe someone who is young and wants to gain experience. I can not imagine anything better than a robust 9000 for it. I would not see it all that negative right away. Give the thing a chance before everything is written down again. Yes, but the classic car market is not just a Mr. Herbert Hürsch ... There were and still are enough people just because of the chassis number of an otherwise completely rusted T1 or 911 more money on the table than a top restored 901 costs. That does not mean that I like this development. 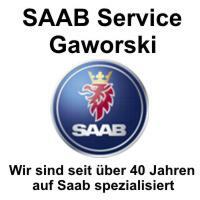 You just have to look at times why even sought-after model series are sold at Saab partially: Cylinder head damage? Exceeds the residual value, so get away with it. There is, in fact, no "market" for totally unprocessed Saab 10 years or more standing on a wet meadow. It may sometimes be an enthusiast with the necessary change and / or excellent screwdriver skills that starts a project like this because he simply has "desire". The rule is not. Why? There are just too many good vehicles or such that I clearly with! get less effort back afloat. The idea of ​​oldies as an investment may not be as widespread in Saab circles as in the 911 stock, but it is quite often a cost / value calculation. Of course, there is not only Mr. Hürsch who likes to write here. But your argument goes completely wrong, because you compare apples with pears here. At 911 and T1 are corporations behind it, which fire the hype not only for a few days. That's where long-term thinking pays off, and sometimes there's even a market correction, as is the case now with the completely overpriced T1 prices. Saab never had a plan or reference to his history. Maintenance? Wrong! My dad remembers times when you were unwelcome with a 901 in the center of Saab because they were simply old boxes of the time. And Orio does not seem to have any idea what to do with the Saab past. As sad as it is, but without a blog and forums, the brand would be so dead and forgotten. Compare the situation better with Lancia or Rover. That is Saab, also due to the commitment of many fans, but quite well there. An investment, of course, the vehicles are almost never, and you can not save everything. 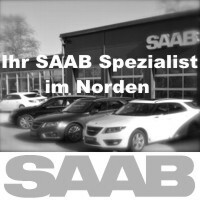 Saab's fun, affordable and thankful for good care. That was not my point at all. It is completely out of my reach to claim exclusive representation for the vintage car market. 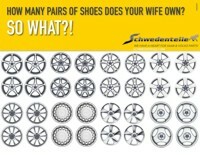 As well, with only one out of hundreds of thousands or even millions of H category vehicles in D? ? ? I give up. If you obviously do not fit in the Saabjubelkanon it hailed immediately allegations. Maybe some should just sell more old Saab or parts ... then you get more of a clue and experience with which contemporaries it has to do in part. They wrote three comments on the article and all three (currently) happen to have 2 thumbs up. My answer to you accidentally 2 thumbs down. These are coincidentally (?) Equal to 5 times ever exactly 2 thumbs in their favor. There is a suspicion that you evaluate yourself from 2 devices each positive and devaluate readers or their comments that you do not like from 2 devices and discredit. That can of course be coincidence. But if not, it would be pretty silly and miserable. Or what do you mean? You are the only one who now faces a hail of accusations for "not attuning to the Saab cheering cannon," as you call it pejorative of others. I believe that if you did not take any dissenting opinion personally, just stayed objective and did not become personal, you would do yourself and one or the other reader a great favor. In terms of content and technique, I appreciate your comments very much - without the trappings. But also Jan and Justus seem to me aware of the topic. The video begins with an 9000 CD wreck for 500 € and the hint that you had to smile about it and could not agree with the seller - not against the background that comparable cars from 799 € with TÜV in the network. Although now rare and I constantly put money in, the market and my old Goteborgger persistently deny me any significant added value. But that's only half the story and only half the bill. 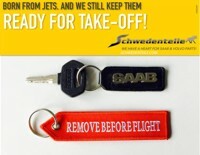 I think that's the case with the SAABs in the cemetery, who Jan and Justus want to see saved. Maybe there is something going on and maybe it can even pay off? Be it emotionally or financially. After all, from my own experience, I can say that it also has its advantages to have to do a lot on the "new" car or allowed. In any case, I find it very reassuring to have documented a long list of new parts and completed work in my head and in writing, and not only did I travel with my Gothenburg in everyday life, but even used it for holidays. I think yes, there is still enough "substance" among the ready-to-go offerings, before I save one from the slaughterhouse! But above all: there must also be (used) spare parts. A professional slaughter I would therefore wish for much more recyclers! Actually, no Saab may go to the press, without anything that is usable to expand. It's not about cheap parts, but about getting parts at all.